In this article we will cover the basics of what you need to know about ICOs or Initial Coin Offerings. We will guide you through the step-by-step process on how to participate in ICOs, and how to know which ones may be worth investing in. ICOs have received more money in 2017 than all previous years combined, and are thus potentially the hottest thing in crypto right now. 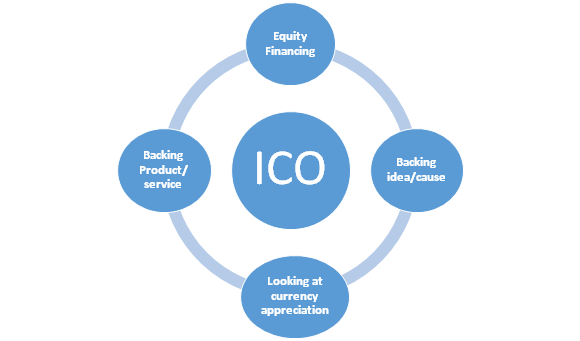 An ICO, or Initial Coin Offering, is basically a business that is trying to crowdsource funds to raise capital for their venture. As implied by the term “Coin Offering,” funds are raised mainly through the issuance of a new cryptocurrency, which is usually specific to the business of the coin creator. ICOs are the smaller cousins of Wall Street’s IPOs, or Initial Public Offerings. This is when a corporation wants to have a stock listed on a publicly-tradeable exchange in order to raise capital to expand their business operations. Some of the most successful IPOs of recent times include Facebook and Netflix, with the average ICO being at least ten times smaller in market cap size. IPOs launch stocks traded on markets anywhere from as small as the Pink Sheets to as big as the NYSE, which members of the Wall Street elite have referred to as “The Center of the Universe,” for over 70 years. 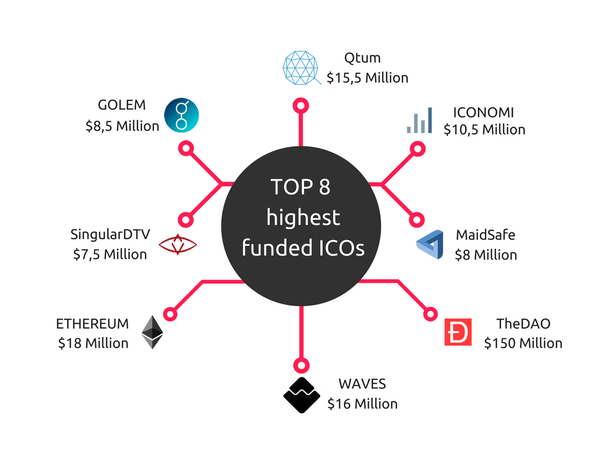 After years on the market, publicly-investable to anybody with the bitcoin or cash, ICOs are finally beginning to attract huge amounts of capital, many of which dominate the list of highest-funded crowdsourced projects of all-time. By launching a token sale or pre-token sale, ICOs hope to raise capital (usually in the form of BTC or dollars) by distributing a cryptocurrency or token of their own to investors who are willing to pay money for it. This gives a chance for blockchain startup companies to give the public a chance to invest in their projects at the ground-floor, while also providing financing and liquidity for the company. Some ICO founders have already enjoyed wild successes, though as with any investment, a project also has the possibility of going belly-up, due to mismanagement, legal issues or a wide variety of other reasons. 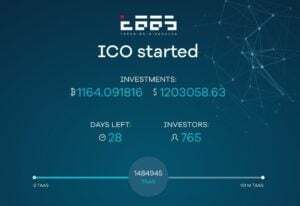 At the core of it, ICOs attempt to help level the playing field for the ordinary world citizen who may not have a whole lot of money to put into investments. Because ICOs tend to be decentralized and easily-accessible to anybody with a steady internet connection (and some form of banking method), they give the little guy a shot at getting into some potentially revolutionary businesses while they are still relatively small. One word: Bancor. Bancor is an Ethereum-based token that considers itself to be something of a “Bitcoin 3.0.” What it aims to do is to not only solidify the security of their own blockchain to levels beyond bitcoin and Ethereum itself, but also allow for the instantaneous conversion of any one cryptocurrency or token into any other. It hopes to accomplish this by using a series of algorithms to aid in the price finding of different tokens, easily making it one of the smartest blockchain innovations to date. By instantly converting one token to another, more liquidity is created in the market. This linkage of the network of independent blockchains has the potential to make the trade of cryptocurrency more fluid, and potentially more valuable. Apps and ICOs that attempt to make the movement of value cheaper and more secure are the wave of the future. This is for the simple reason that as people become more computer literate and blockchain-aware, they will witness and understand for themselves the benefits of using cryptocurrencies, and at the end of the day, who doesn’t want to save a dollar? Often already compared by major media outlets as the next IPO, ICOs are being eyed by Wall Street as the next big thing, with over 10x money coming in so far in 2017 than the entirety of 2016. Though there still remains the lack of regulation necessary to meaningfully clamp down on ICO-related fraud, this is not a deterrent to major investors, who are currently pouring hundreds of millions of dollars into blockchain-technology related ICOs. ICO-based coins are already being accepted as noticeably “cooler” than bitcoin, with their advantages of revolutionizing blockchain technology being rewarded with huge investor money. How do I Invest In An ICO? What happens is the same thing that you would hope to happen with any investment: that your company succeeds. 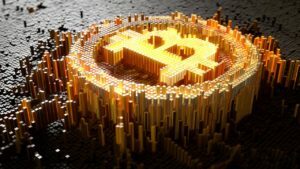 This would render your investment more valuable, and that is one of the spectacular wonders of the cryptocurrency space: coins worth far less than one penny have the ability to skyrocket tens of thousands of percent, going from 0.000001 BTC in value to 0.01 in a matter of months. It has happened several times in the past – it assuredly will again in the future – yet how your particular investment pans out depends on a number of factors. What does the coin have to offer? What does it do that no other project is doing, and how is it useful to society? Be sure to read the White Paper of any ICO before you put your hard-earned money into it. What kind of track record and backing do the ICO founders have? Do they have well-respected members of the cryptocurrency community as presidents, board members or backers? Do your instincts tell you that the ICO founders are genuine, sincere people, capable of following through with their mission statement? Will there be a market for your coin or token? What exchanges will it be listed on, and what will give it value? You should consider why people should want to own this coin and if it will have a liquid trading market. The market capitalizations of some brilliant ideas remain relatively small due to market liquidity problems, so it’s always a bonus if your tokens are readily tradable on a dependable, popular platform. A token is basically a “coin within a coin,” or a “colored coin” as first described by Meni Rosenfeld in his ground-breaking paper that detailed the concept for the first time. A token is a coin built by incorporating customized information into the blockchain of the coin acting as the platform. A token separates itself from the other coins of the system by adding slight tweaks to them, giving them a signature that separates them from other coins and tokens. Some token systems require special software for them to be distinguishable in a blockchain. For example, exchanges involving the Counterparty token XCP, a token-generating platform which “rides” on top of the bitcoin blockchain, will only show up as “unidentifiable” in a regular bitcoin blockchain explorer, in the form of a minute amount of bitcoin. However, in a Counterparty blockchain explorer they will show up as the appropriate amount of XCP. Token-generating platforms such as Ethereum, WAVES and Bitshares allow the average user to have a chance at creating their own cryptocurrency for their own needs, or the needs of others. They can have special attributes not available to other tokens on the same platform, and their capability for the solution of everyday problems is now heavily being explored. In this edition, we went over the importance of the Initial Coin Offering, how it is different from an Initial Public Offering, how to invest in one, and what to look out for. There are plenty of other resources on the net that cover this issue to a much greater detail than discussed here. 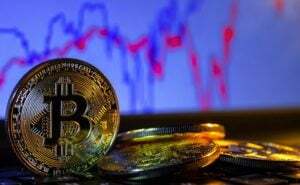 Be sure to keep an eye out for the furthered pouring of money into the ICO market, as even if this market proves to suffer a boom-and-bust cycle, we are definitely still in the booming phase. I have started reading all the details. To be very honest I am new (though deal little in Bitcoin and Ethereum). I have already registered with you too. I hope with your sincere efforts of providing quality information about ICO one would definitely succeed. We’d like to help you solve your problem. Could you provide us with a few more specifics about what ICO you were attempting to register for? How do I invest in this ICO? Through the mentioned Exchange I can buy the coin once it’s available in Exchange after it moves from the ICO stage to the market. Please clarify for me if I misunderstood the ICO and listing coin in Exchange.